Cory Hill represented his home town of Pontypridd throughout all age grades until Under-15 level. He made his first start for the club in April 2010 in a game against Llanelli and scored two tries on his debut. In April 2012 he was selected as captain of the Wales Under-20 squad for the Junior World Cup in South Africa. Hill made ten appearances for Cardiff Blues, during his time in their Academy system. He later moved onto Moseley in the summer of 2013 and then to Dragons a few months later. 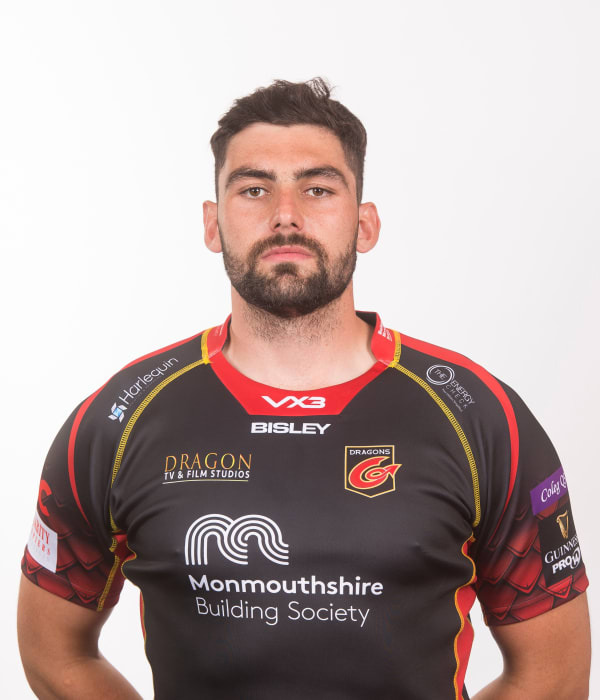 The lock - who can also operare in the back row - made his debut for the Men of Gwent against Wasps in the LV=Cup at Rodney Parade. He earned his first senior cap with Wales against Australia in the opening match of the 2016 UA Series. Hill has most recently named vice-captain of the Welsh squad - alongside Ellis Jenkins - for the 2017 summer tour to Tonga and Samoa.